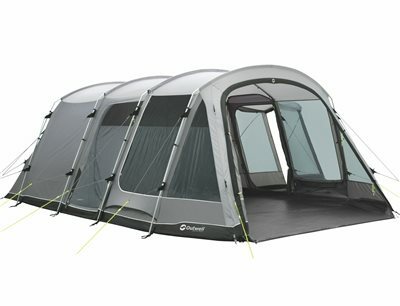 Sleeping six in a three-room tunnel tent with two Ambassador Master Bedrooms, the classic design of the Montana 6P offers camping flexibility with a generous living space for relaxing. Pre-shaped poles deliver stability, full headroom and steep walls to maximise internal space. Features many windows, practical side porch, extra side door and ample ventilation.